Have a look at these Offerup alternatives. Do you ever want to buy as well as sell the new or old things that you have in the online market? If agreed, then you must have heard of Offer Up apps for online marketing. Offer up is basically an application that is used for online posting confidential ads for free of cost. You can easily able to sell or buy different items of your requirements as well as needs by simply posting an online ad here at cost-free. This Offerup app is also used to do a sophisticated search and locate the specific items that you desired. There is also an app know as Wish which is used to buy latest items and also there are so many apps like these apps that are used for online shopping. This also enhances your experience for shopping online and also offers you a different variety of items for choice. The Close5 app is the best Offerup an alternative as it works alike Offer up. You can easily download the close5 app at free of cost and also you can post ads here. It makes use of your current location and also ensures you to discover items nearby. There are other apps such as Craigslist for selling and buying, but it lacks the feature of nearby. So, in such cases the close5 apps which are the alternative of offerup come into play. You simply need to enter your current location and will get results that are nearer to you. While providing your location, you will get a complete items list that is accessible in your area for selling or buying. The oodle is usually used for selling your items or goods. So, oodle is also an alternative to offerup. By using this app, you can earn money by selling the products. It is an online app that offers the user to buy or sell items so that to earn money from home only. Similar to close5, oodle helps in searching the items nearby the location of the user. This is the best offer up the alternative app if you are a lover of pet. The selling and buying the pets is very easy through this app. This app is the alternative of OfferUp and approximately has the similar number of users like offer up. The letgo app is finest known for its ability of auto fill that permits users in order to fill the form of ad automatically so that it can be quickly posted on the page of the website. This app is the best offerup replacements and also has the propensity for the image scanning so that you can upload your ad easily and after that, it usually fills the thorough information to take the right client at the right cost. Have you ever before used any classified traditional ad service? If agreed, then you may know how these systems actually work. This app is pretty different from all of them and also offers improved services. 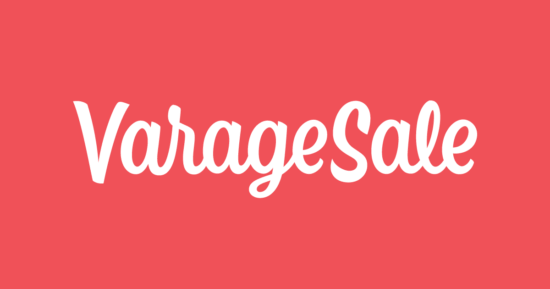 You simply need to connect to the account of Facebook with the Varage sale app. By this app, sellers can confirm the genuineness of the advertisers. They can test out if the ads are fake or genuine. This app is offerup alternative which is a good platform for all those who are further alert when you want to trust such sites. Yes, it is true!!! eBay also has a section of the classified ad where sellers or buyers can easily post their ads at free cost. You have to spend some time in order to buy items from the site of eBay but along with this you can also find and search the costless items from nearest stores through eBay as well. This alternative of offerup comes with an auto-location recognition option which detects the location of the user automatically and thus, helps to provide you the results closer to the location. Have you ever used Craigslist, eBay or OfferUp alternative sites? If agreed, then you will surely find this Yerdle different as well as useful from them. This app helps users in selling their items at free of cost. For a buyer, you simply need to give for the shipment cost and not anything. This alternative of offerup also provides points of credit which can be used later on to get more things. If you sell more items, you will get more benefits. Just exchange the goods and take pleasure of free buying and selling from your mobile. 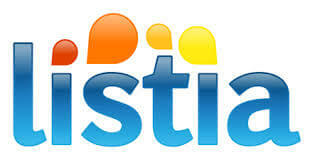 The Listia works as the alternative of offer up. This app helps users in posting their items at free of cost. They are setting an option in order to sell the goods without extra cost. There is need to pay only shipping cost and the items will be sold or bought at no extra cost. So, it is considered to be a very simple exchange scheme, where money can be saved. The Listia app is one of the most popular item exchanging apps that helps in saving money and helps in reduction of items from home that are unreasonably occupying the home space. The SocialSell is a mixture of posting and marketing of social media classified ad. Have you used channels of social networking in order to sell your items? This app offers up alternative except the fact it redefines the type of selling of the items that will be bought or sold here. 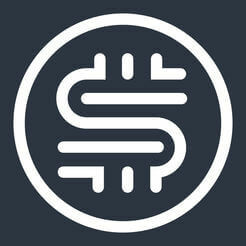 SocialSell provides the users with an option to chase their preferred sellers and can easily contact them through Facebook. This app includes social media, so you do not have to, in fact, add your ads to the channels of social networking. Above mentioned are the top 8 apps that are Offer Up alternatives. You can also try using these apps in order to check which application top suits your requirements. The good part of using these apps is that you can post free ads that are classified and also the user can easily save some money by posting these paid ads.